The San Mateo County single family homes median sales price hit an all-time high in July, up 5.1% from last month, ending up at $1,492,500. 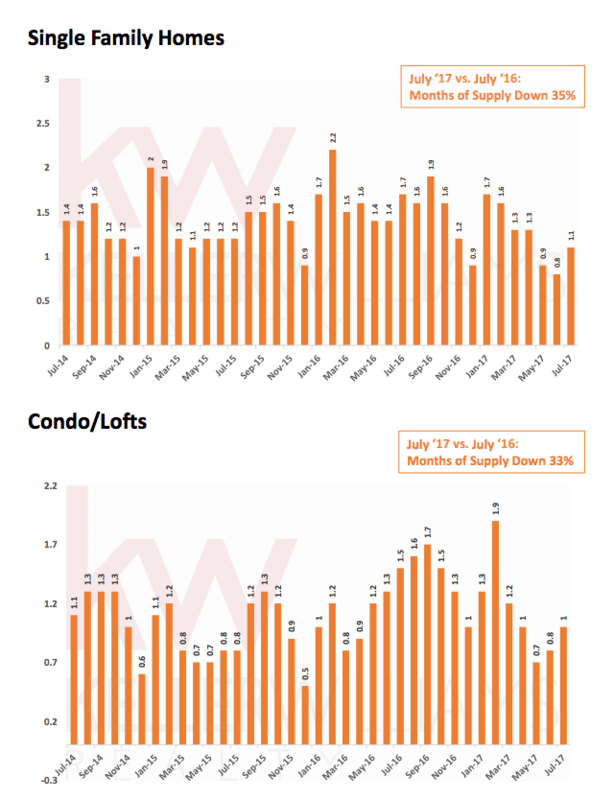 The continued tight supply coupled with strong demand saw overbids hit 107.6%, a drop of 2.2% from last month. 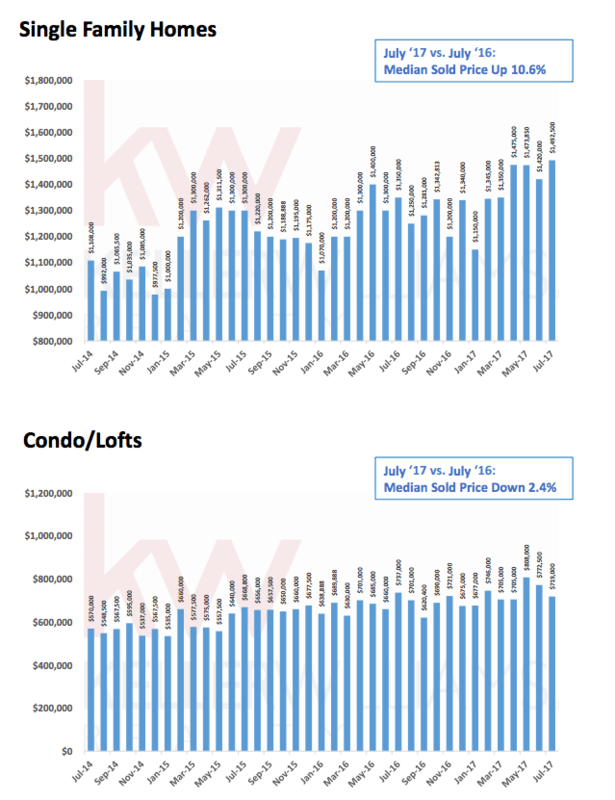 Condos/townhomes eased off their all time high of $850,000 in May to $719,000 in July. 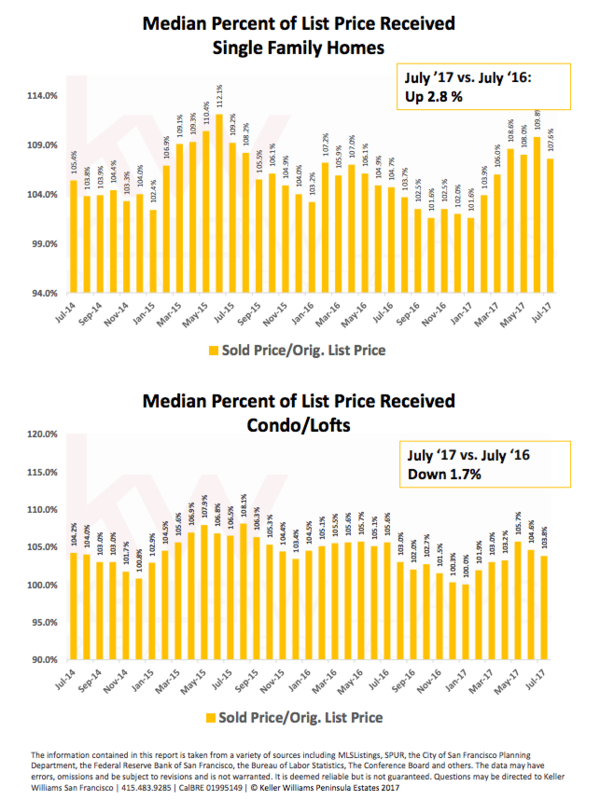 They sold at a median overbid of 103.8%, down from June’s 105.6%. The number of new single family home listings coming on the market continued its downward trend in July. New listings were down 18.6% compared to July 2016, and are down 8% year-to-date compared with last year. That decline in new listings, coupled with a 4.6% increase in the number of homes sold, has led to 1.1 months of inventory, up a bit from June. It’s still a strong seller’s market. 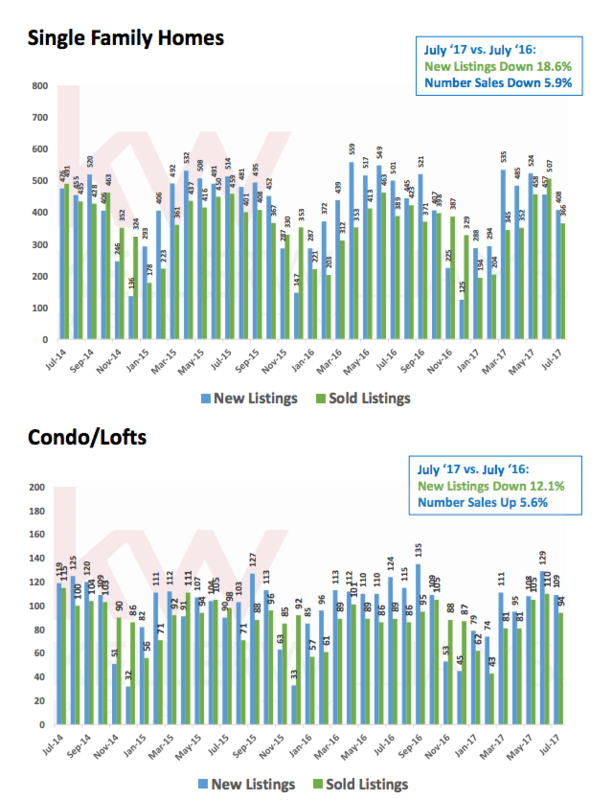 There was a 12% drop in the number of new condos/townhomes coming on the market this July versus July 2016, with the year-to-date number 5.9% lower than 2016. July inventory is was at 1.0 months, a decline of 33.3% compared to July 2016.